Originating from the Dominican Republic, Abraham Marte is a Brazilian Jiu Jitsu black belt under Abraham Tabar, team Basico. The Super Heavyweight, Abraham Marte Messina was the first BJJ competitor from the Dominic Republic and the first to medal at the World Championships in a black belt division. Nickname: He is often called “Loco” which means crazy in Spanish, Abraham’s native tongue. The name started among his Jiu Jitsu training partners due to Abraham’s obsession for the sport. Born June 27th 1980 in San Domingo, Dominican Republic, Abraham Marte has always been involved or surrounded by combat sports. Marte’s father was a former sports minister and through his dad’s connections with the sporting world he started practicing Judo. In the late 1990’s Abraham watched UFC1 and was amazed by Royce Gracie‘s Jiu-Jitsu, which he used to win the first two editions of the event and ultimately influence a lot of today’s high-level grapplers. Although Marte wanted to start doing Gracie Jiu-Jitsu, he lived in a small and isolated country that did not have access to the martial art. However, that did not quench Abraham’s desire to learn the gentle art, it was only by the end of 2001 that Abraham Marte finally had his first BJJ class. Abraham found about this academy that was teaching Jiu Jitsu through a friend of a friend named Samuel. The classes were taught by Abraham Tabar, a Judo black belt who loved the ground game of Judo. Tabar would often travel to the United States to learn Brazilian Jiu-Jitsu from people such as Romero Cavalcanti, Royce Gracie and Fernando Yamasaki. Though Abraham Marte enjoyed his Jiu-Jitsu journey thoroughly he had to stop training in 2002 due to a serious injury to his back. At the time Abraham was leading a life of excess and partying as an employed DJ but with time and dedication he left his former life behind in order to recover and come back to BJJ, to compete competitively. Apparently Marte was a natural athlete and that is when he decided to start competing for fun. His first big competition was in Puerto Rico when he was a blue belt. Abraham won the tournament in his weight division and the absolute, this was an huge landmark in Marte’s competitive career. Though Messina could only train 4x per week, he still managed to compete regularly abroad, competing in huge competitions such as NY Pro “I travelled to New York and fought at the NY Pro.” Marte discussed in an interview he did with GracieMag.” After that I stayed a week training at Marcelo Garcia’s, which is always awesome. Leandro Lo and Felipe Preguica happened to be in town so it was extra awesome. Then I flew to California for Masters Worlds, and did that tournament for the first time. I was able to pull off a double gold and got to fight one of my idols, Comprido in the division final.” In his constant quest for improvement and testing within the sport, Abraham Marte traveled often to Brazil where he met and befriended Joao Gabriel Rocha. The two created a strong bond and while in Brazil, Abraham Marte trained extensively at the Soul Fighters academy, spending time at the Rocha household as a guest of the family. 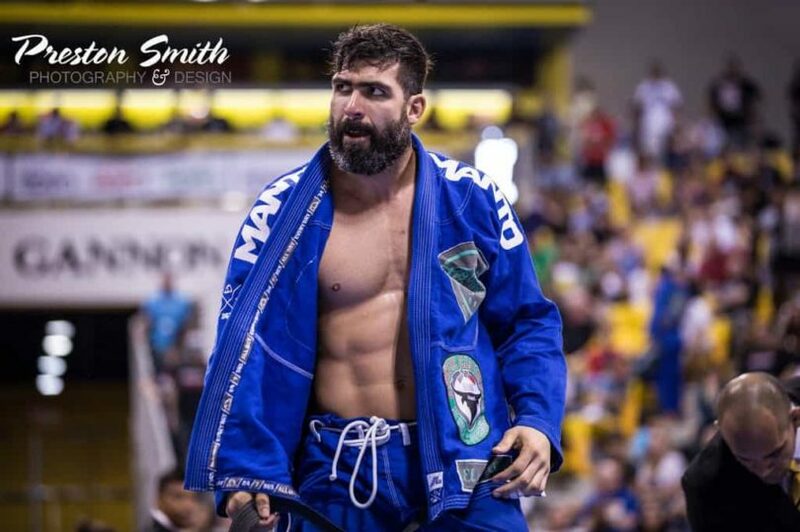 However, unlike a lot of BJJ competitors, Marte decided to stay in the Dominican Republic and open up a JiuJitsu academy with his long-time mentor and professor Abraham Tabor. Marte’s secret to winning world championships is that he focused on mastering the basics. He found a good teacher in Tabor and stuck alongside him trying to absorb as much information as he could. Marte never had an urgency to travel to places where Jiu-Jitsu was more popular. According to Marte, traveling to Brazil, or any other country for that matter, it isn’t essential to becoming a World Champion. Despite living in a country with no other high-level competitors, Abraham has never felt the need to travel in order to be successful in the sport.